Lying between two diverse regions, Southeast Asia has many different cultures. It is a must-visit destination for everyone to experience the wildlife, diverse culture, natural features among others. To help you make up your mind on the best destination to visit in Southeast Asia, outlined are some of the top relaxing places to visit. 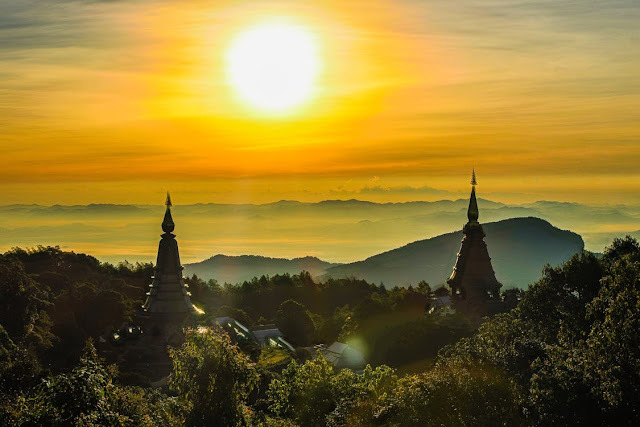 The Chiang Mai destination is one of the favorite tourist attraction sites in Thailand. With its rich culture, Chiang Mai is full of historical culture. The area contains the best temples in the world, old museums among other historical sites. The old city is also well known for its Mahasiddha yoga classes as well. This is where yogis get to experience inner peace, inner growth as well as a healthy living. Si Phan Don, a land known for its 4000 natural islands has the best scenic features in the world. With its amazing waterfalls, the place is full of monks and old temples. Among the things to undertake in Si Phan Don are Swimming, kayaking among other water activities. The place is untouched. Hence it is a peaceful area to relax and contemplate. Ubud is well known as the land of peace. To many, this place offers serenity. The area is full of old temples where you will hear prayers from miles away. With the land filled with stunning green rice fields, the area is full of restaurants. You will also find talented artisans in Ubud. What makes Batad unique is the UNESCO World Heritage site. Apart from this, the area is full of amazing landscapes that offer hiking activities among other recreational activities. In addition, there are beautiful waterfalls with clear water for the tourists to swim. Macleod is an island full of breathtaking beaches. The area has the best diving spots in the world, hence making it the ideal place to go for diving lessons. For the lovers of hiking, Macleod is the place for you. It has untouched natural hiking spots with an amazing view of the Macleod Island. Hanoi, the capital of Vietnam is well recognized for its gastronomy artistically. The city is full of restaurants that offer diverse cuisines. Here, you will experience various delicious cuisines. You will also get to dine in beautiful restaurants that offer classic food. In addition, Hanoi has deluxe hotels where tourists can rest as they enjoy the high life in the city. Moofushi is a must-visit island. With its turquoise waters and untouched white sandy beaches, the island displays natural beauty. The island is a beautiful destination for picnics and water activities such as swimming, canoeing and so many more. Apart from this, there are front beach villas that offer the best view of the cool waters. It is a heaven on earth. There are many beautiful destinations to visit in Southeast Asia. From breathtaking natural features to authentic cuisines, Southeast Asia is the place for you. Therefore, you will be able to plan your holiday well. A trip to Southeast Asia is a great way to spend your money and time.